What if your team wasn’t using warmups and shooting drills in the most effective way? Before games, teams usually warm up by taking shots from directly in front of the net, referred to as the ‘slot’. However, this does not simulate real game action as most shots come from an area known as the ‘funnel’. Steve Valiquette is a five-year NHL veteran and current studio analyst for the New York Rangers on MSG Network where he hosts Vally’s View. He combed through shot data from the first 32 games of the Rangers 2017-18 season and came to some realizations about the most effective areas on the ice to score goals. 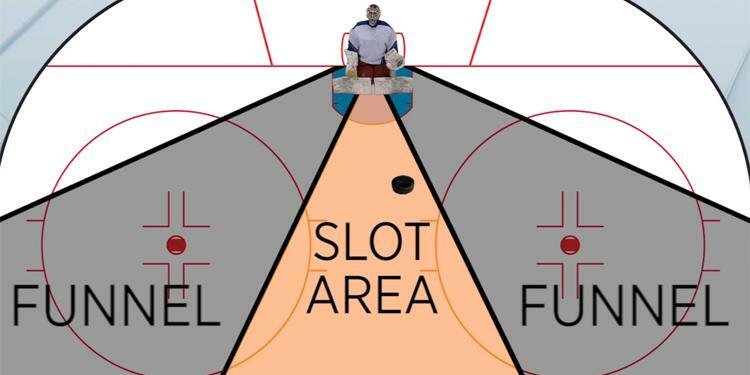 Valiquette says coaches describe this area as a funnel because rebounds from shots end up in the slot or on the other side of the ice which can provide a goal opportunity on the rebound, or at least a second shot chance. The opportunities at a clear shot from the slot in a game don’t come around often. Not only will a defender likely be in the area but because a well-positioned goaltender would have clear sight and a high percentage that they make save. Most shots in a game come from the funnel and practicing shooting from that area is the best way to mimic game-like situations. Using this data, the key to effective warmups is avoiding ‘clear sighted shots’ from directly in the slot. He describes a clear sighted shot as when a goalie has more than half a second of clear sight on the puck before it is released from the shooter’s stick. Valiquette found the results for this shot to be roughly one goal for every 34 shots. Targeting shots of higher quality instead of quantity will provide higher percentage scoring chances. The likelihood of a rebound increases on shots from the funnel and pucks that cross the Royal Road immediately before a shot increases a shooter's scoring opportunity by over 10 times. As the Science of Scoring indicates, most goals come from under the hash marks on quick wrist shots. Shooting from the slot and down the middle of the ice doesn’t happen enough in games to correlate with the amount of time we often dedicate towards it in practice and warmups. 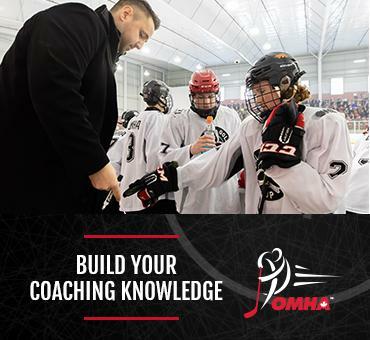 This time is often limited and coaches should look at ways to use it the most effectively.